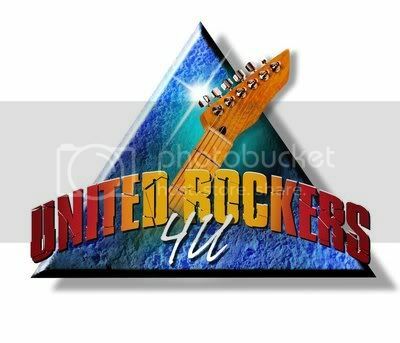 UNITED ROCKERS 4U - an all-star lineup comprised of such artists as EDDIE MONEY, Bobby Kimball (TOTO), Jimi Jamison (SURVIVOR), Don Dokken (DOKKEN), Terry Ilous (GREAT WHITE, XYZ), Rudy Sarzo (OZZY OSBOURNE, QUIET RIOT, WHITESNAKE), Robin McAuley (MCAULEY SCHENKER GROUP, Survivor), Phil Lewis (L.A. GUNS), Richie Kotzen (POISON, MR. BIG), Paul Shortino (ROUGH CUTT, Quiet Riot), Brian Tichy (Whitesnake, FOREIGNER, BILLY IDOL), Jeff Paris (hit songwriter for Mr. Big, VIXEN, LITA FORD), Robert Sarzo (HURRICANE) and session player Michael Thompson (MTB) - have come together to perform a heartfelt song called 'One Family' that will benefit the American Red Cross. The single, which was written and produced by rock singer/songwriters Terry Ilous and Jeff Paris and mixed by Beau Hill (Producer for RATT, WARRANT, etc. ), will be released on Monday, December 12th, through the Fyco Records label and made available via iTunes, Amazon and several other major online music stores. "As the father of an adopted Asian child, I was greatly moved by the Japan tsunami footage of a little girl searching through the rubble for her parents," states Terry Ilous. "I felt this could've been my daughter and disaster can happen anywhere, even here in America. So my writing partner Jeff Paris and I wrote 'One Family' as a way of helping the Red Cross." “We are excited to partner with such an impressive coalition of ‘80s rockers who are helping raise awareness of and funds for the Red Cross,” said Paul Schulz, CEO, American Red Cross Los Angeles Region. “We encourage everyone to attend the United Rockers 4U concert at the Hard Rock Café Hollywood and purchase the 'One Family' single to help support the Red Cross’ vital services to the community." After a lot of hard work, what was once a dream has now became a reality and all involved are hoping to collaborate again in the future. Many of the artists featured on 'One Family' have committed to performing at the benefit including Ilous, Paris, McAuley, Sarzo and Tichy. Also performing are members from Great White, BLACK SABBATH, SCORPIONS, Whitesnake, Survivor, XYZ, ALICE COOPER, Foreigner, AC/DC, DIO, HEAVEN & HELL, Ratt, Quiet Riot, RAINBOW, STRYPER, Ozzy Osbourne Band, ANGEL, MSG, HOUSE OF LORDS, Hurricane, LED ZEPPAGAIN and more! The benefit concert will be taking place on Thursday, December 15th, at Hard Rock Cafe Hollywood on Hollywood Blvd. (6801 Hollywood Blvd., #105, Hollywood, California 90028) at 9 PM (PST). A limited number of VIP tickets are available for $25 (here) for priority concert viewing and Meet & Greet with band members. 100% of ticket sales will go to the American Red Cross for Disaster Relief. General admission is free and donations will be welcome the night of the event. For those unable to attend the show, it can be viewed for free online (live) at this location. "We're all thankful, especially during the holidays, to be able to do what we do," Ilous further comments. "This is just a small way for us to give back and help those in need."